Microsoft is reportedly in "secret talks" with several European studios about bringing back the Project Gotham Racing franchise on the Xbox 360. 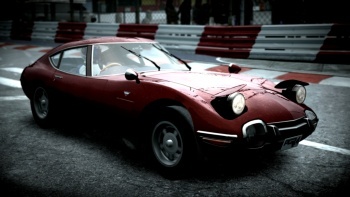 The Project Gotham Racing series has fallen into disuse since developer Bizarre Creations was acquired by Activision in September 2007, just a few weeks before the release of Project Gotham Racing 4, its last game for Microsoft. But it may soon make a comeback, if an anonymous insider is to be believed. A "trusted source" told Develop that Microsoft is currently in talks with several European independent studios about reviving the series. As far back as May 2008, former Microsoft Game Studios head Shane Kim suggested that PGR would likely return at some point, adding that Forza Motorsport developer Turn 10 Studios, which is owned by Microsoft, would be a good candidate to take over the series. Now, however, it appears that the publisher wants the game put back in the hands of an independent. The Project Gotham Racing series debuted on the Xbox in late 2001 as a follow-up to Bizarre's Metropolis Street Racer release for the Dreamcast. By the time PRG4 came out, however, Bizarre co-founder Martyn Chudney said the studio was becoming "disillusioned" with Microsoft, which was growing "corporate and cocky" because of its apparent victory over Sony in the console wars.